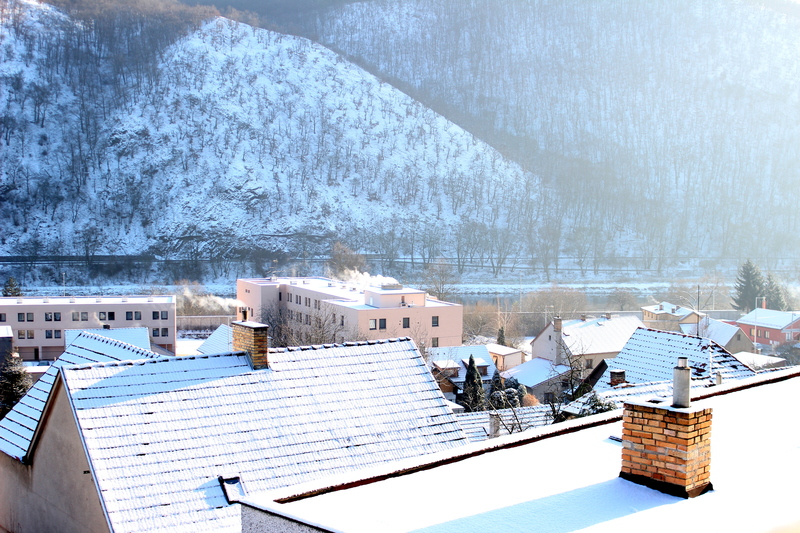 Winter view from my window in Zbraslav, Czech Republic. You can’t see the train tracks, but, believe me, you can hear them. Love your photo! We had our first significant snowfall in a few years up here in Pine Valley on New Year’s Eve. The traffic wending its way up the mountain on New Year’s Day was backed up 25 miles from Sunrise Highway almost all the way into El Cajon. The CHP actually had to close Julian to further traffic; all the parking was at capacity, and the gas stations in town both completely ran out of gas, stranding visitors overnight in the town. We had our fair share of flatlanders (yes, that’s what we mountain folk call those of you who live “down the hill”) invading Pine Valley, lifting their kids over fences into people’s private front yards, ignoring the “No Trespassing” signs along Old Highway 80, and leaving their fair share of trash behind. But the flatlanders are great for business, especially at Major’s Diner and Pine Valley Java which are owned by a dear Christian couple. It was cold enough that there were snow flurries reported in east El Cajon and even in Escondido; our snow which started Tuesday night, didn’t completely disappear from our yard until Sunday afternoon. Our three inches were nothing compared to the 7-8 inches atop Mount Laguna, though. That’s where most of the flatlanders were headed, fortunately. This is so ridiculously breathtaking. I am deeply jealous.